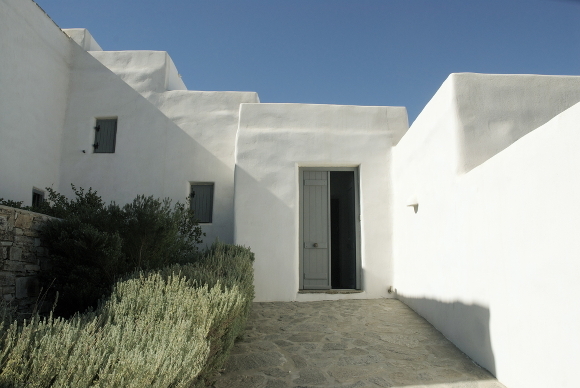 Assign to a lawyer to review the legality of the property in Urban Registry office of Paros. Assign to an architect-engineer to carry out the urban check of the property. Sign a private agreement between the two parties (buyer/seller). Down payment of an amount in order to remove the property from the market and to allow time to place all the necessary controls until purchase’s completion. Choice of notary, and date's scheduling of the final contract signing. Issuance of AFM (Greek Tax Identification Number) from Paros Tax Office. Opening an account in a Greek bank. Selection of a translator to translate accurately the final contract. According to the new law 4146/18.06.2013, for third countries citizens it is granted a 5-year residence permit, provided that they had leased or purchased a property for a minimum of 250.000€.The mentioned residence permit is granted to the members of their family as well as to the support staff in case of people with special needs. The residence permit can be renewed for equal period as long as the property remains in their ownership and possession. Local Authorities Tax: Estimated an additional fee of 3% of the above Property Transfer Tax. Lawyer’s Fee: Upon agreement, in order to perform the legal check of the property. For the lawyer’s presence at the purchase contract, the fee is defined at 1% to 1,5% plus the legal tax (Value Added Tax) 23%. The lawyer’s presence is not any longer obligatory for properties up to 80.000€. However, his/hers participation is needed for both parties to be ensured. Notary’s Fee: Defined at 1,2% to 2% of the value written on the purchase contract plus the legal tax 23%. Engineering Fee: Defined in the amount of 300 € plus the legal tax, provided that it will not be requested any procedure from Urban Registry office and upon submission to him of all necessary data for research (contracts, topographical features and possible plans of building permit issuance). Realtor’s Fee: Defined at 2% plus the legal tax 23%. Urban Registry Fee: In order for the purchase contract to be added in the database of the Urban Registry office of Paros, the buyer is required to pay the amount of 0,475% of the value written on the purchase contract, plus the legal tax 23%.